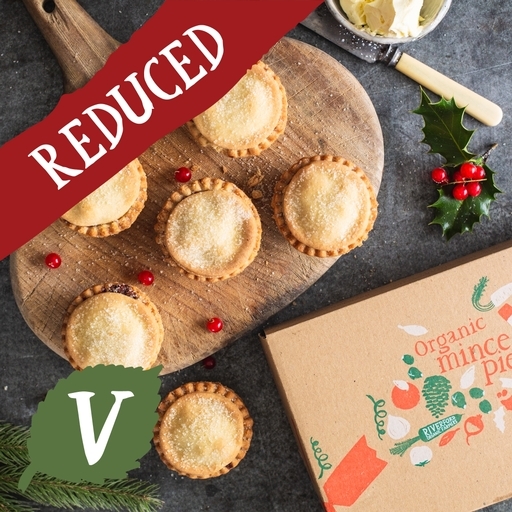 By popular demand, we’ve baked a few more of our organic mince pies so you can keep enjoying them a little longer – they’re too good for December alone! Made to our own recipe and baked to perfection in a woodfired oven, each rich, buttery little pie is filled to the brim with apple, plump vine fruits, winter spices, candied peel, flaked almonds and a slosh of brandy. Now reduced - previous price £5.25. The Authentic Bread Company was started in 1995 when Alan Davis, a former BT engineer of 26 years, decided to go professional with his passion for organic baking. Based deep within the Gloucestershire countryside, the business is still family-run, using time-honoured traditional methods and the very best organic ingredients to produce their wide range of award-winning baked goods. Wheat Flour (Wheat, Calcium Carbonate*, Iron*, Niacin*, Thiamin*), Apples (9%), Currants (9%), Sultanas (9%), Salted Butter (8%) (Butter (Milk), Salt*), Coconut Oil, Cane Sugar, Brown Sugar, Sunflower Oil, Candied Peel (2.7%) (Orange Peel, Lemon Peel, Glucose Syrup, Salt*), Raisins (2.1%), Orange Juice, Cognac (1.5%), Cider, Mixed Spice, Flaked Almonds, Cinnamon, Nutmeg, Ground Ginger.